As with any nutrient – if and when possible – its best to obtain it from natural sources. The latest rock star in the anti-aging world is this particular phytonutrient. It’s a sirtuin activator like resveratrol, but research suggests it may have an even more potent effect. With a significantly higher bioavailability and 700% longer half-life, it’s no wonder why so much research is now focusing on pterostilbene benefits. You won’t find it in meat, dairy, or other animal-based foods. The number of plants high in pterostilbene are few and far between, or at least, that’s what the research currently suggests. Here’s a look at the best natural sources of food which have been confirmed so far. 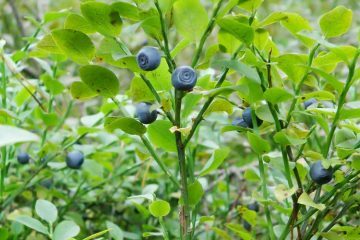 Almost every time you hear a blurb about this stilbene, it’s practically guaranteed you will hear about this fruit in the context. Blueberries might be the highest food source of pterostilbene, however the amount they contain is still quite small relative to supplements. 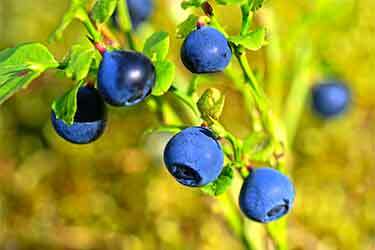 How much they contain has been reported as 99 to 52 nanograms, per gram of blueberries. (1). If you run the math, it means your standard pint of blueberries will have somewhere in the range of 0.03 to 0.18 mg of pterostilbene. Most supplements list a recommended dosage of one 50 mg capsule, which is 277 to 1,667 times higher than what’s in a blueberry pint. While a 50 mg supplement may seem like overkill, know that the amount used in most studies – which have included human clinical trials, in vitro (test tube) experiments, and in vivo animal models – have almost all involved dosages of even more than 50 mg per day. Or in the case of in vitro experiments and models involving mice and rats, the dosage concentration would equate to being that, after adjusting for tissue/body weight. Being that it’s a completely optional dietary supplement, there is no RDA or any official recommended dosage established for it. That being said, the research suggests that high amounts are probably needed for most benefits. The exact amount contained in almonds has not been published. 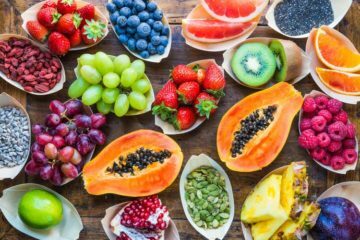 There was a study published in Food Chemisty which measured cis- and trans-resveratrol, d4-resveratrol, dienestrol, hexestrol, oxyresveratrol, piceatannol, pterostilbene, and resveratrol-3-ß-glucoside (polydatin) (2). They provided numbers for polydatin, but unfortunately not pterostilbene. 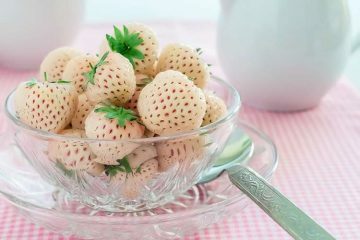 But it is a confirmed food source, even though we do not know the exact amount. 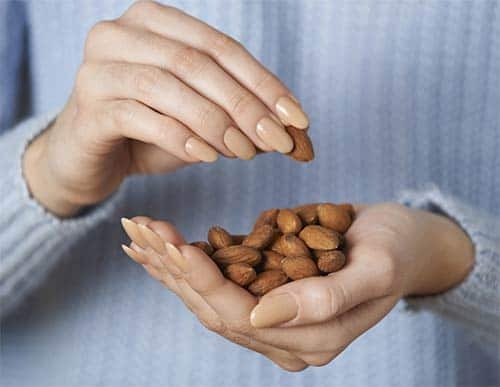 The bad news is that by law, unless you’re buying the almonds directly from the farmer, all which have been grown in the U.S. are pasteurized, even those which are labeled as being “raw” (that regulation came about after a salmonella scare nearly a decade ago). Given that resveratrol is sensitive to heat and very closely related, one would presume that the pasteurization may adversely affect the stilbene content, too. You can still buy truly unpasteurized almonds in the U.S. as long as they aren’t grown here. 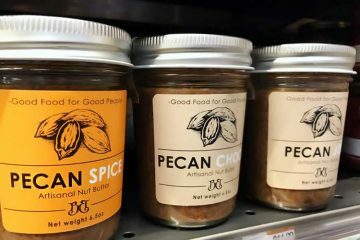 Aside from Whole Foods, grocery stores typically don’t carry them, but you can buy them online. They’re typically grown in Spain or another European country. These are one of the richest sources of resveratrol, so it comes as no surprise that they also contain pterostilbene (they are often found together). 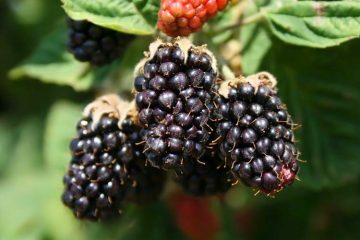 While the exact amount contained in mulberries have not been reported, there is medical research which has documented that it’s found in the plant’s branch, root bark, leaf, and fruit (3). While commonly sold fresh in the UK and other parts of the world, here in the United States you never see them sold fresh at the grocery store. 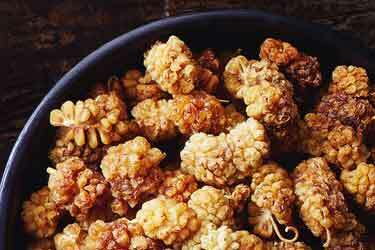 Though you can purchased dried raw mulberries online. We actually order the Terrasoul Superfoods brand of white mulberries every couple of weeks because we find them to be the best value given their quality and what their price per ounce calculates out as being. 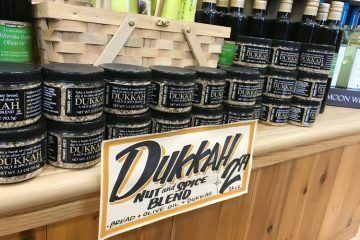 It’s funny how during the past couple decades, peanuts have taken a backseat to other more expensive nuts. Many people now consider peanuts as more of a low brow choice which is too bad, considering that they’re one of the healthiest nuts. The ORAC value of peanuts is respectable and they’re also one of the most naturally potent sources of resveratrol. Peanuts also contain pterostilbene but to date, no papers have been published which study in-depth exactly how much they have (4). Of course red wine has largely gotten fanfare for its resveratrol, but pterostilbene is in there, too (5). We are not aware of research which quantifies the amount of this stilbene in a typical glass of red wine. This is because during the last decade, almost all of the focus was on its more popular cousin molecule. If it helps in gauging the content of pterostilbene, know that the amount of resveratrol in red wine really isn’t very much, at least relative to supplements and the amounts used in studies. A 250 mg or 500 mg resveratrol capsule is giving you hundreds of times more than any glass of wine provides. 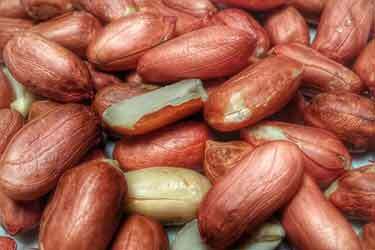 Peanuts actually come quite close to red wine when comparing equal weights of each. But of course, peanuts have a lot more calories! 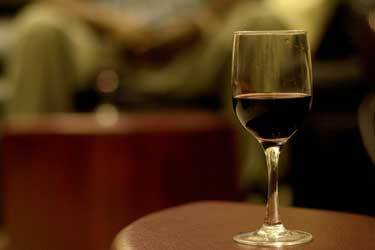 Let’s be honest here… part of the reason we all focus on red wine is so we have an excuse to drink. 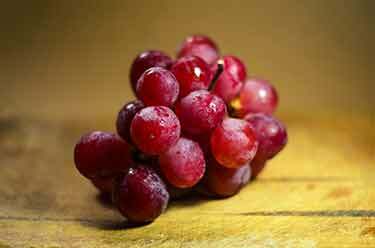 But red grapes – whether the raw fruit or the juice – also count as foods containing pterostilbene (6). Given the fact that alcohol is a Group 1 carcinogen according to the World Health Organization and is linked to breast cancer, colorectal cancer, and others, it wouldn’t be a bad idea to stick with the non-alcoholic juice, at least if you’re goal is the health benefits (7). It’s also found in grape vines, but no one would consider those a food source. 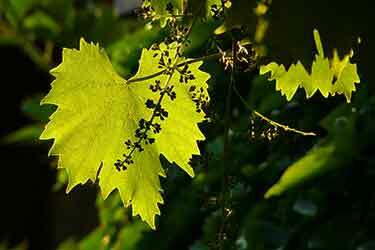 On the other hand, the grape leaves are – particularly in Middle Eastern cuisine – and those are also a natural source of pterostilbene (8). However since grape leaves are typically cooked or have undergone some type of processing like canning, it’s questionable how much is left afterward. Eating raw grape leaves may be an option, but given how fibrous they are, it wouldn’t be easy or enjoyable for most people. 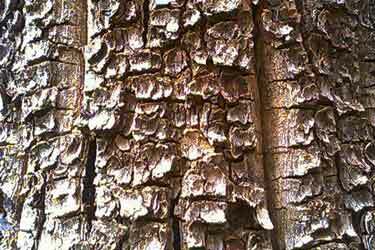 Calling bark a food source is a stretch, but it has been ground up into a powder form and used in Ayurvedic medicine (ancient Indian herbal medicine) for hundreds of years as a remedy for blood sugar control, diarrhea, as an astringent, and as an antacid (9). Of course, that was long before anyone even knew it was a natural source of pterostilbene. Studies documenting its exact concentration have not been published, though it must be relatively potent given that some pterostilbene supplements use it as their source. However the newer versions from the last several years primarily use a synthesized version which is marketed under the brand pTeroPure (which is not sold directly to consumers, but rather supplement companies who use it in their products). It’s exponentially more concentrated than the bark of Indian kino tree and other rich food sources. Like the last item on our list, you probably don’t want to munch on the wood of Pterocarpus santalinus. However it was not blueberries, but this red sandalwood, which was the original source used for isolating pterostilbene (10). Sandalwood powder has been used in Hindu Pooja rituals for thousands of years. In Ayurvedic medicine, it is used externally for skin care and other topical treatments. 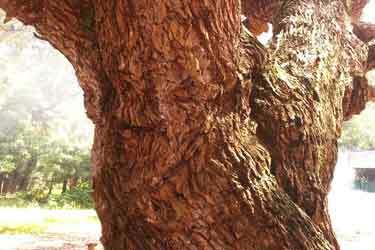 There is one UK product on the market called Dr Wakde’s organic red sandalwood powder. The label’s suggested use says that a half to one teaspoon dosage can be taken 2 to 3x per day with warm water, fruit juice or milk. But this is only product we see marketed for oral consumption versus external use. We strongly advise against using this as a food source/dietary supplement due to unknown safety. Last but not least is one you won’t hear about anywhere else. In fact, if you do a search on PubMed for the words “cocoa” and “pterostilbene” you will come back empty handed with zero results (11). How we came across this as a food source was based on a hunch. We knew that cocoa contained resveratrol (12). 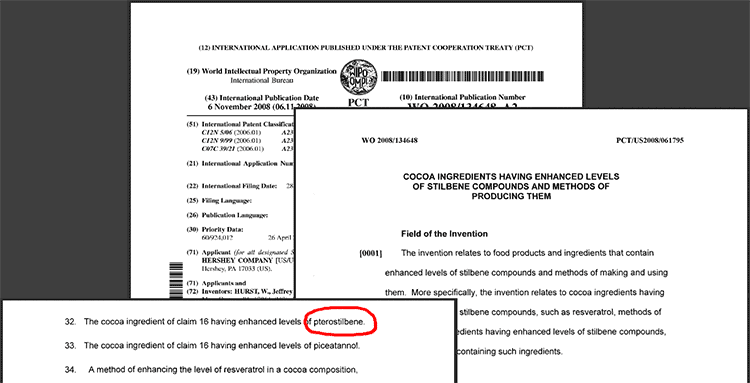 Based on that, we did some digging around and came across a patent filing by The Hershey Company which talks about pterostilbene in chocolate (13). Their patent centers around ways of increasing the concentration of it (along with numerous polyphenols) for health benefits. Not so much your Hershey’s milk chocolate bar, but true unsweetened and raw cocoa powder is likely a pterostilbene rich food. While data measuring its content has not been published, we can make this assumption given the fact that it is potent source of resveratrol. 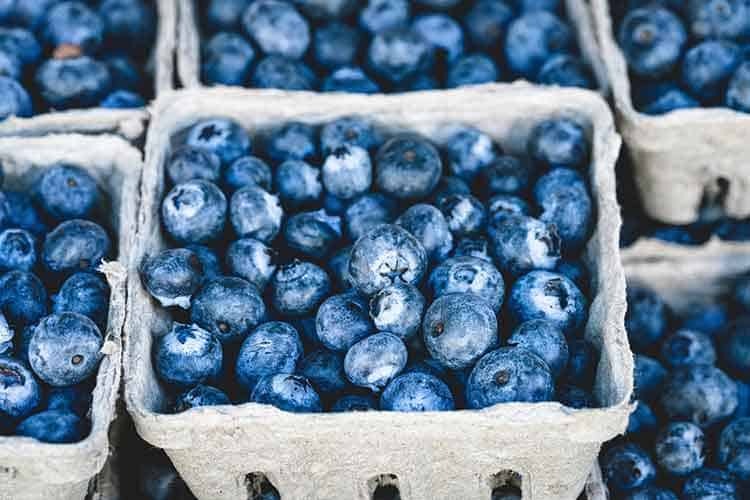 …is that there aren’t that many confirmed food sources and even the most potent, like eating an entire pint of blueberries daily, will have far less than 1% of the dosages used in studies.